Sailing ship Mercedes in full sail.. She has an impressive rigging with 900 m² total sail area and an overall lenght of 50,00 meters..
Nice light and shadows – like the lines, well scene Ugur! 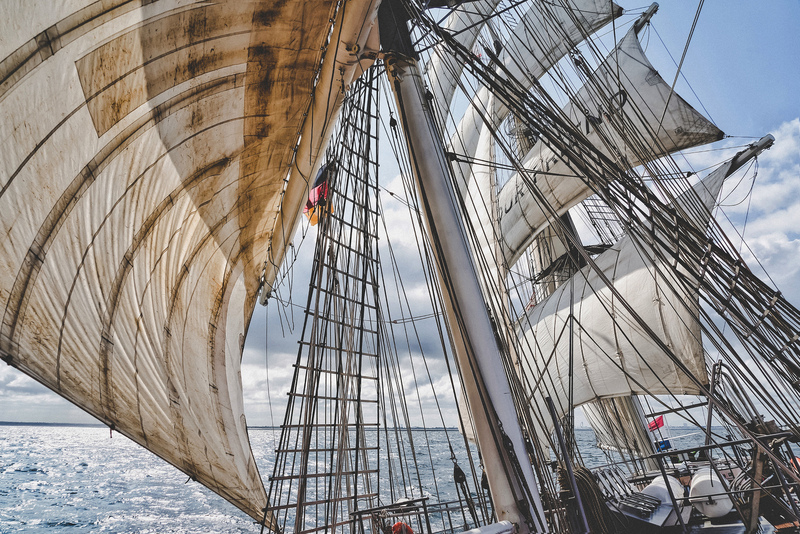 Superb dynamic capture of the curves and lines of sails and rigging. The living engines of the sailing ship. This is a great picture, Ugur!